A key component of MIB is the monitoring and influencing of government on behalf of Montana’s community banks. While we work hard to lobby our state and national representatives, we also need your voice to call out bad legislation and encourage regulations that support and protect community banking. Here you can read MIB and ICBA’s advocacy on your behalf, and learn of opportunities for your voice to be heard. ICBA News contains press releases and commentary by ICBA lobbyists and other national news sources on what is happening in Washington and how it is affecting the community banking industry. 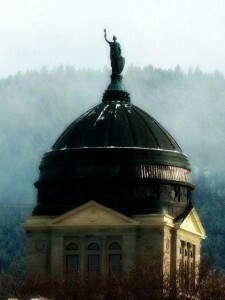 State Legislation is only active during Montana’s legislative sessions. This is where you can find a biweekly legislative schedule and up-to-date information on relevant proposed state legislation. Find My Elected Official has links to find and contact your state and local representatives and let them know what is best for your bank and your community. ICBA’s Advocacy Page is where you can read ICBA’s press releases, blogs, campaigns, and lobbying correspondence, in addition to further policy resources. Would you like to become a member of the MIB website? Please click here to begin the registration process.